A noise function for 3d rendering is a function which inputs at least a coordinate vector (either 2d or 3d) and possibly more control parameters and outputs a value (for the sake of simplicity between 0 and 1) such that the output value is not a simple function of the coordinate vector but contains a good mixture of randomness and smoothness. Dependent on the type of noise, that may mean different things in practice. A noise function is usually chosen based on its ability to represent a natural shape, so it should emulate structures in nature. At the core of any noise functions is a (pseudo-)random-number generator, i.e. a function which inputs a coordinate vector and outputs a value between 0 and 1. 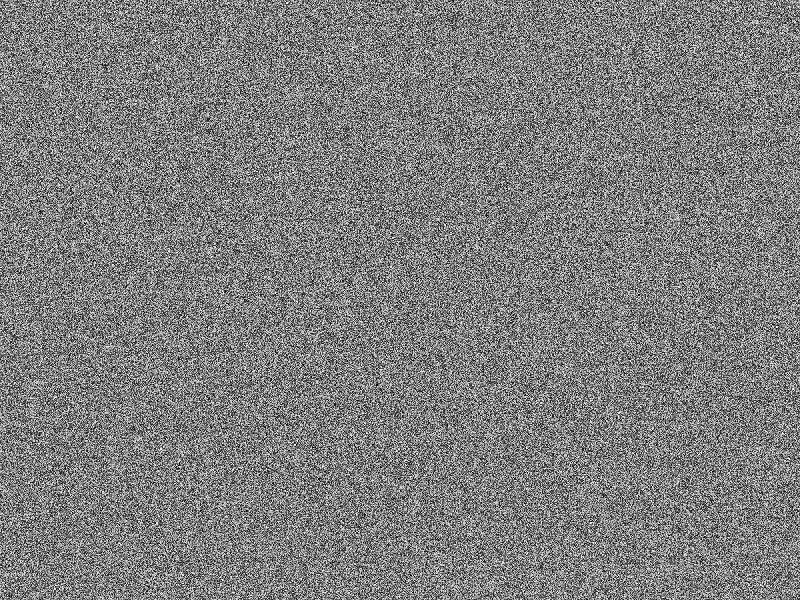 Unlike the full noise function which is supposed to have smoothness, the raw output of the random number generator may jump wildly even on a short distance and is not supposed to resemble anything. The raw random number function applied to a surface. 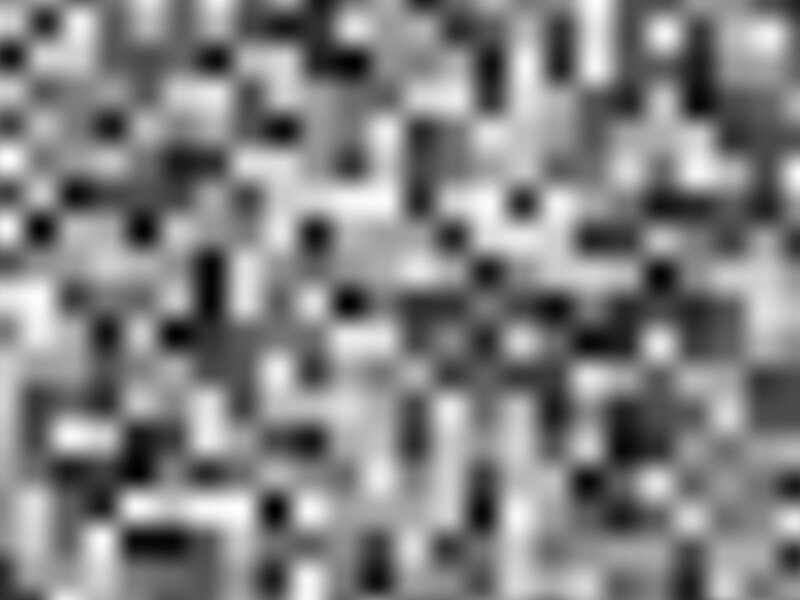 The function above shows what is essentially a pixel to pixel uncorrelated noise - knowing the value of the function at one pixel, one can't say what the value of the adjacent pixel will be. That's not how random patterns in nature typically look. For instance, while the shape of a cloud is not predictable, if one bit of it is opaque white, it's very likely that everything nearby will also be. That is to say, in many natural random patterns there is a correlation length over which the characteristics of the pattern does not change, and only beyond this correlation length the pattern appears random and unpredictable. If one takes a picture of a natural random pattern and runs a Fourier transformation over it, these characteristic length scales would emerge was frequencies (or wavelengths) of the Fourier analysis. In the following, we'll frequently refer to noise 'at a certain wavelength'. The meaning is roughly that the distribution is predictable for any length scale much below that number, but random for any distance above that. This is a statement quite independent of the particular type of noise. 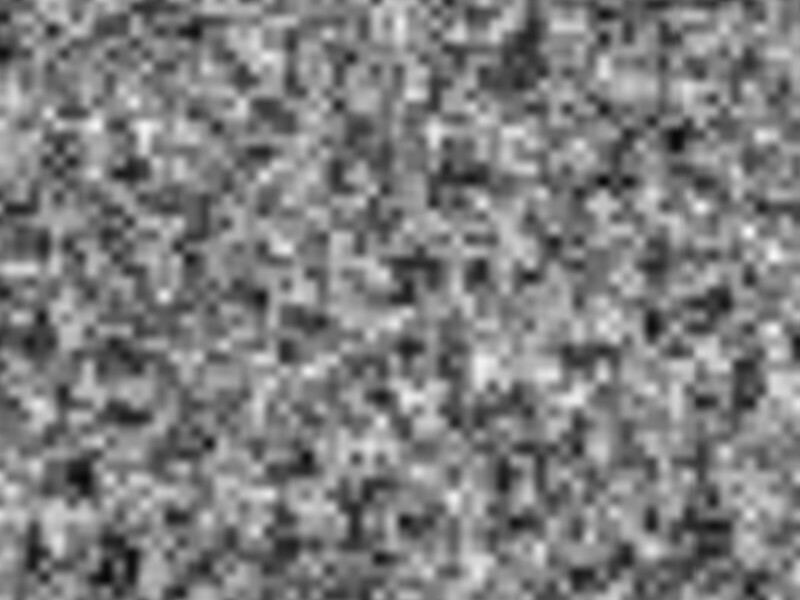 Put a different way, noise a 1 m wavelength will create a pattern that looks completely random and point to point uncorrelated when a 10 km x 10 km chunk area is considered, but very homogeneous over a 1 cm x 1 cm patch. Perlin noise, named after its inventor Ken Perlin, is perhaps the best known example of noise in 3d rendering. It gives a smooth, organic distribution of shapes at a certain wavelength, and by adding noise at different wavelengths, a large variety of effects can be achieved. The precise shape of the interpolation function influences the visuals a lot - a linear interpolation will give harder results, a soft function like cosine or smoothstep will give a more organic look. The following snippet of code is a 3d variant of Perlin noise, using the smoothstep function to interpolate between grid points. 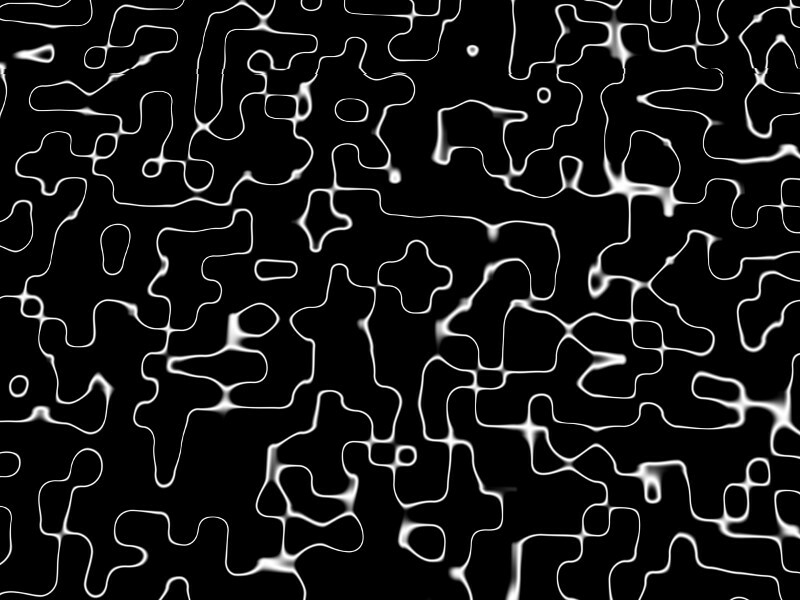 Perlin noise for a single wavelength. A single wavelength of Perlin noise does not look particularly compelling and the beauty of it only emerges after mixing several wavelengths. Often 'octaves' are used in rendering, i.e. Perlin noise is generated for L, L/2, L/4,...L/n and then all are summed with a weight of a constant c to the power of i. Two octaves of Perlin noise added with equal weight. Four octaves of Perlin noise added with equal weight. Note the regression to the mean - the more octaves are added, the more likely it is to find a value close to 0.5, i.e. to produce a uniform grey surface and any domains where 0 or 1 are reached become rarer and rarer. If that is not the goal, the weight with which octaves are added has to be changed or non-linear post-processing has to be used. 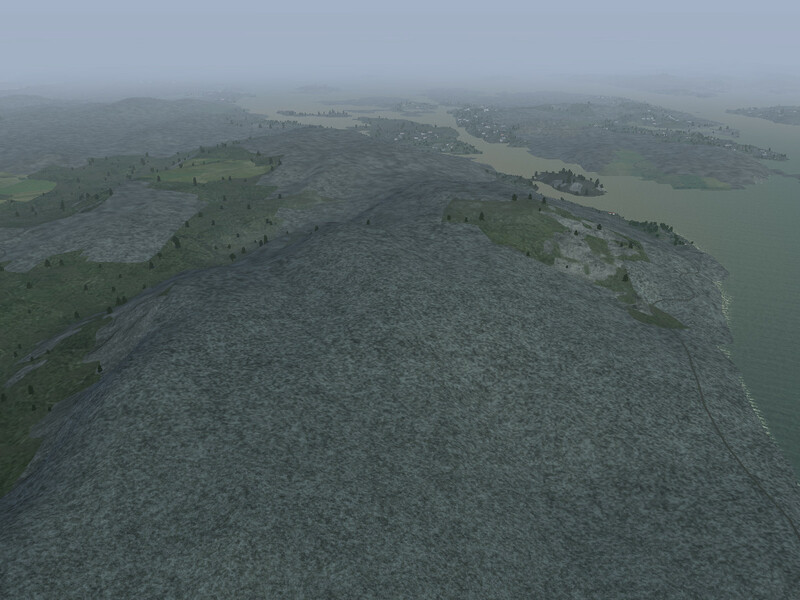 Procedural rock: Perlin noise dominated by long wavelengths. Procedural rock: Perlin noise dominated by short wavelengths. However, summing Perlin noise in octaves is neither necessary nor always useful. 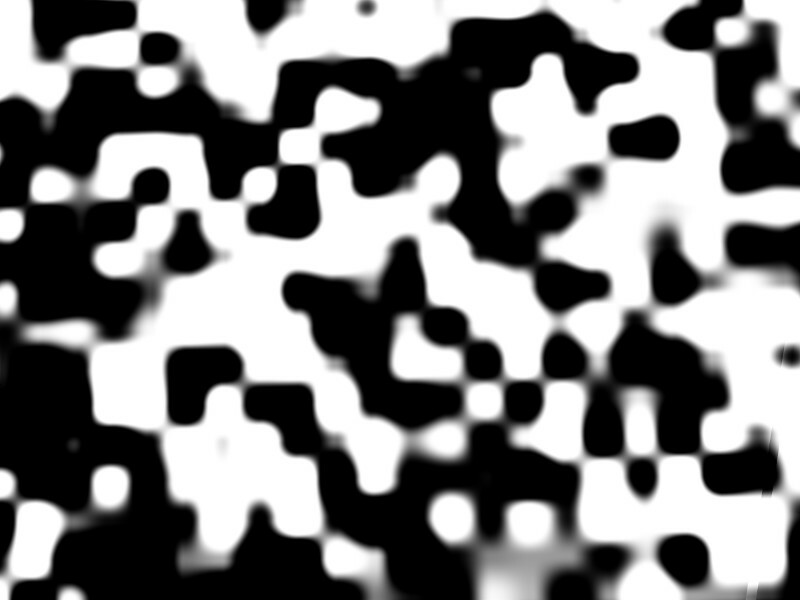 Non-linearly filtered Perlin noise for domains. The idea underlying sparse dot noise is partially similar to Worley noise, except that it's computationally cheaper because it makes the sparseness assumption. 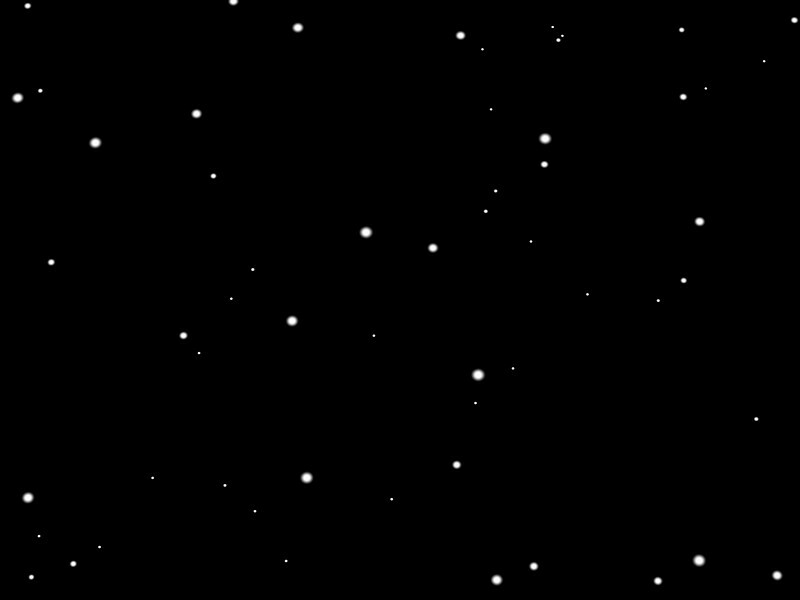 Suppose you have a surface which is covered by comparatively rare, dot-like structures. They're irregularly spaced, but at a mean distance of the noise wavelength. Since they are rare, one can safely assume any two won't overlap. This contains a lot of fudging, especially placing it such that it can't overlap, and if we'd choose a large probability to have a dot in the cell and a large radius, this would never look irregular. This is where the Worley noise algorithm invests lots of effort. However, distributing the dots sparsely, i.e. probability to have a dot small per cell and radius being small as compared to cell area, this actually works nicely. 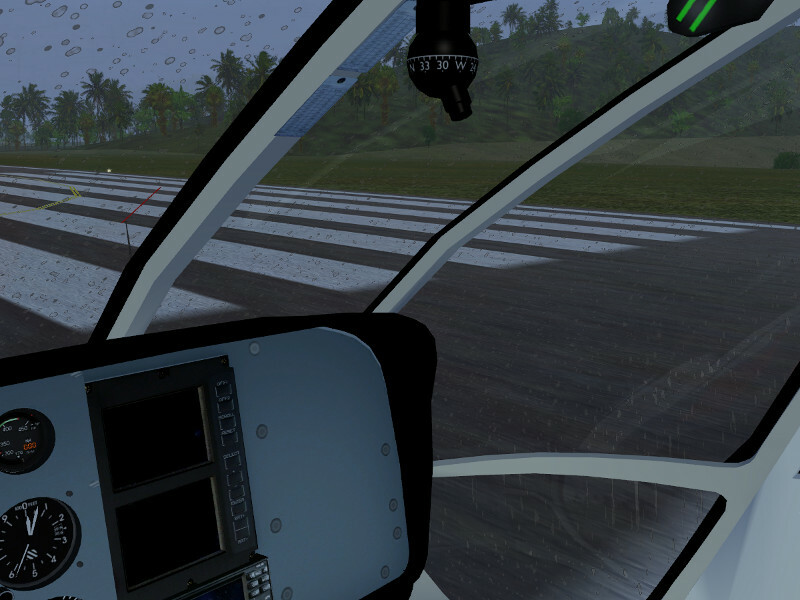 Raindrops on glass created by sparse dot noise. Sparse dot actually does not have to be sparse at all. 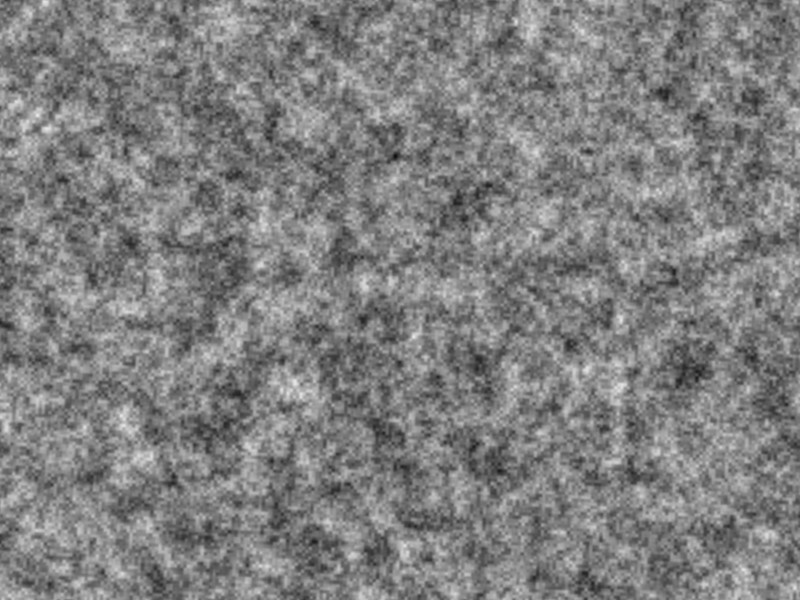 Simply create multiple overlapping grids at slightly different L and draw all the noise patterns on top of each other and you'll get a fairly dense yet still irregular dot distribution. Multiply some of these with a time-dependent periodic function between 0 and 1, and you'll see groups appear and disappear - using enough groups, this is a credible mockup of individual rain drops impacting. We have already mentioned above that it's sometimes useful to have a function which segments a surface into domains which can then be textured separately. 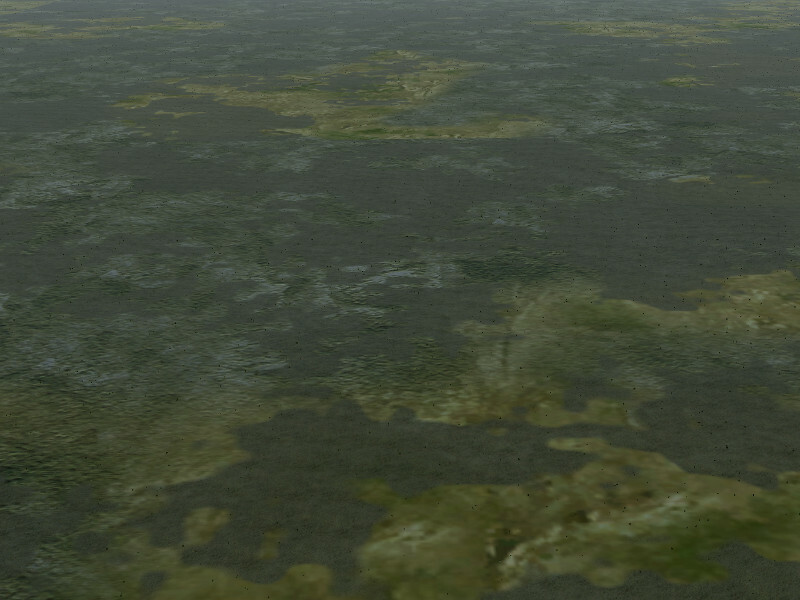 If the segmentation is to have an organic look, Perlin noise works fine. However, for man-made structures, often a less organic segmentation pattern is useful. 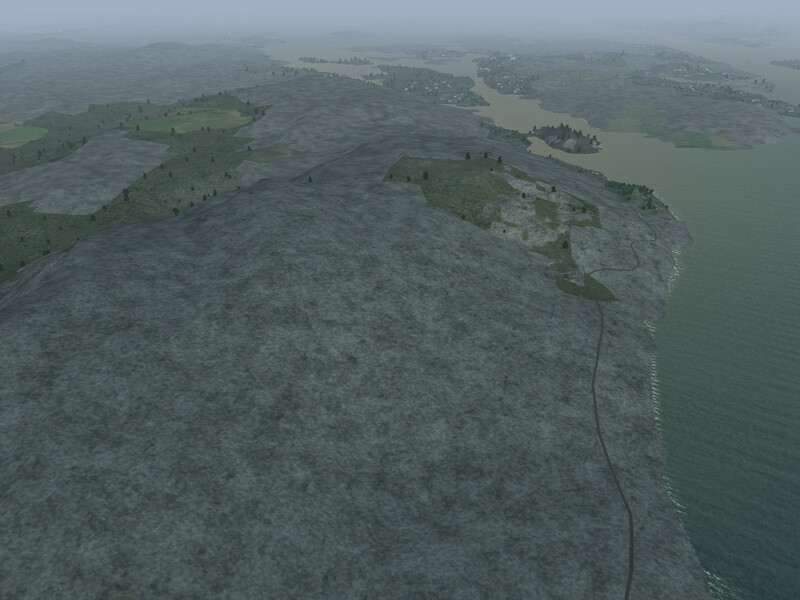 Consider for example patches of managed forest or fields (especially in Europe) - they are usually bounded by straight lines, but they may be rather complex polygons rather than simple squares or rectangles. 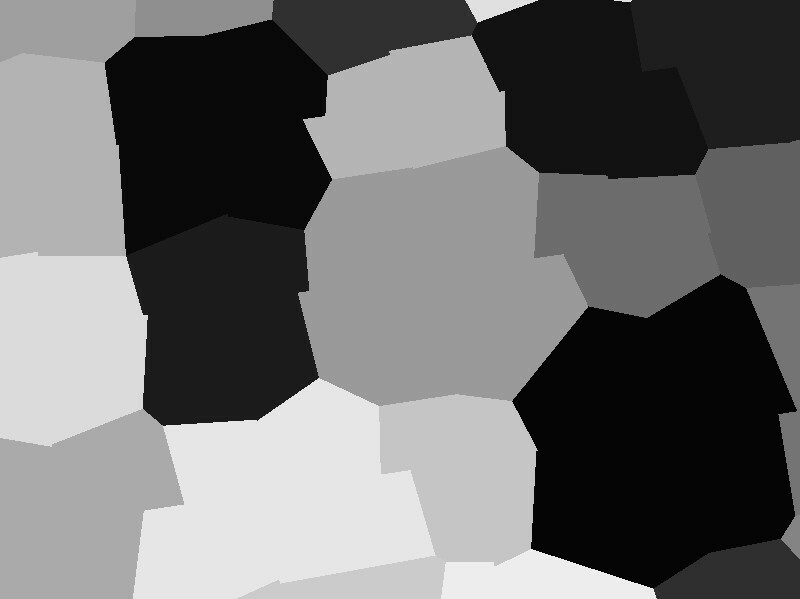 Voronoi noise is a tool to achieve such a segmentation. (the last two steps are known as Voronoi partitioning). There is (again) a good degree of sloppiness to this algorithm, in particular a distorted regular grid doesn't give the same amount of randomness than covering a surface with randomly placed points, and limiting the Voronoi partitioning to the four grid points framing the cell also sometimes implies that the wrong domain is assigned. However, in doing so, the algorithm avoids the expensive search over multiple nearest neighbour candidates and performs reasonably fast, while yielding results which look good enough. 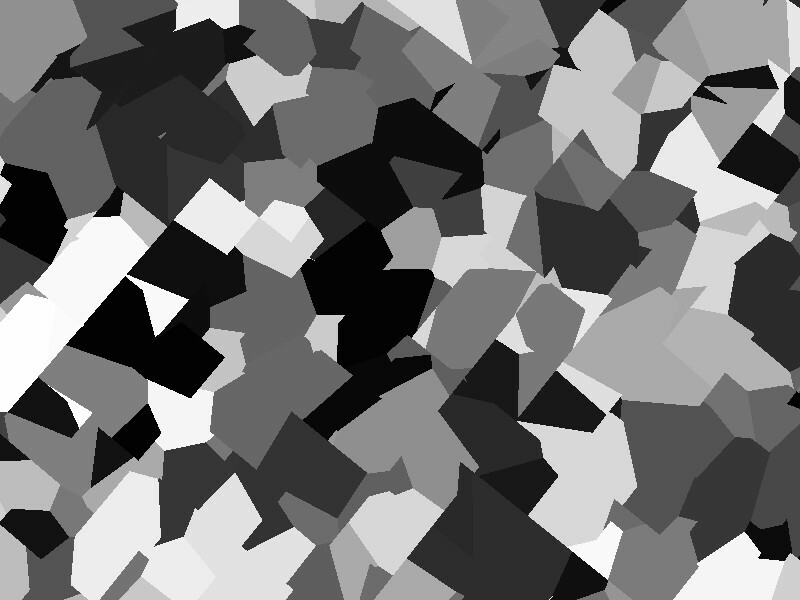 Voronoi noise with low distortion. Voronoi noise with high distortion. 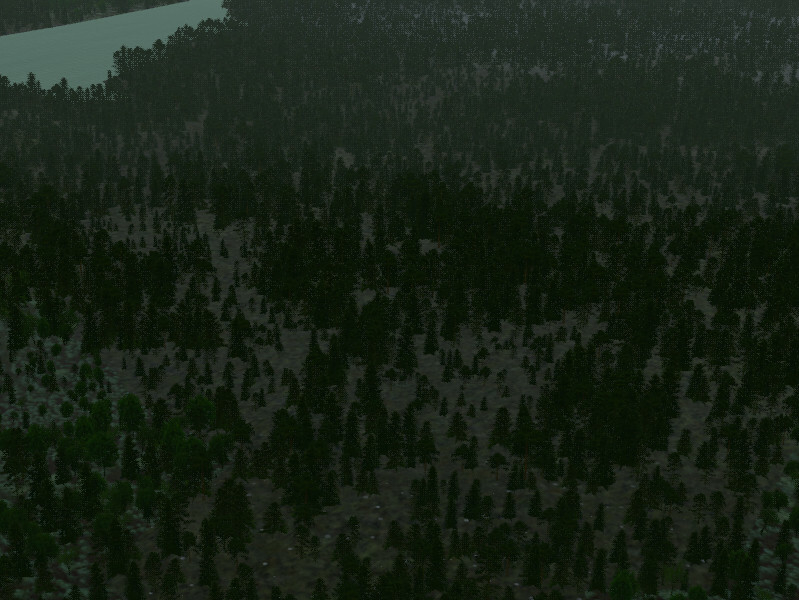 Tree patches of different age in managed forest using Voronoi noise. Non-linear filtering as such isn't a technique specific to one noise type, though it has perhaps most applications with Perlin noise. As indicated above, the idea is to map the output of the noise function (which is anywhere between 0 and 1) into the same domain, but non-linearly. For instance, one could map all values below 0.9 to one number and the rest to another number. Perlin noise partitioned into equal fraction domains. Perlin noise partitioned into unequal fraction domains. 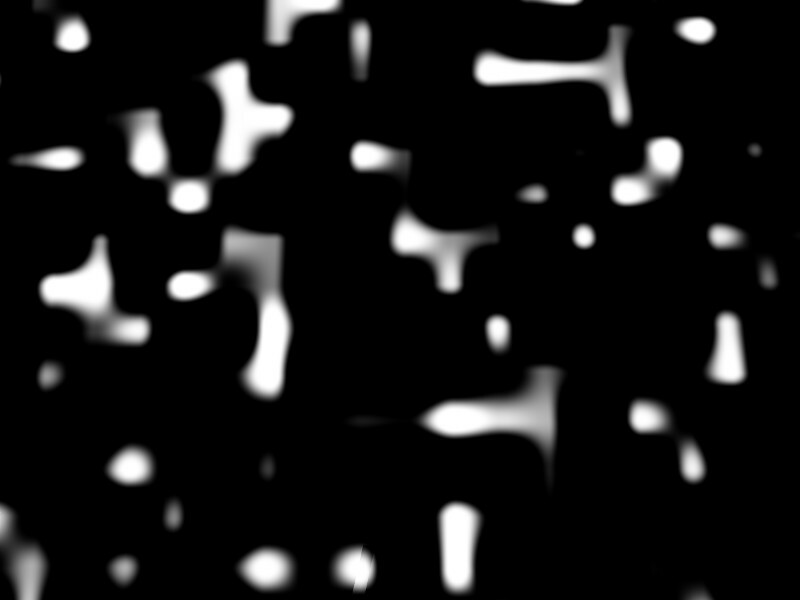 Perlin noise, tagging equipotential lines.